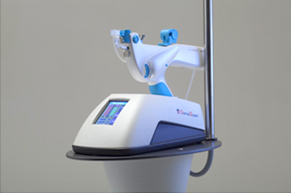 Mesotherapy treatment is a noninvasive process. It simply involves injection of chemical to the area that is certainly affected with cellulite or wrinkles. The medication contains vitamin, plant-extract, anti-oxidant and other substances that are being absorbed by the middle layer of the skin (mesoderm). Application of the solution is accomplished by a short Mesotherapy needle, and is essentially painless. Mesotherapy can be used in many ways, such as rejuvenation of the face, neck and hands; treating cellulite; improving hair loss; and sculpting the body. With Mesotherapy, there is no downtime. Treatment can begin the same day as the initial consultation, and the patient can return to work after the procedure. The only side effect may be some temporary, mild bruising. PRP is "platelet-rich plasma". This is also known as autologous blood concentrate APC. Platelets are a specialized type of blood cell that are involved with injury healing. 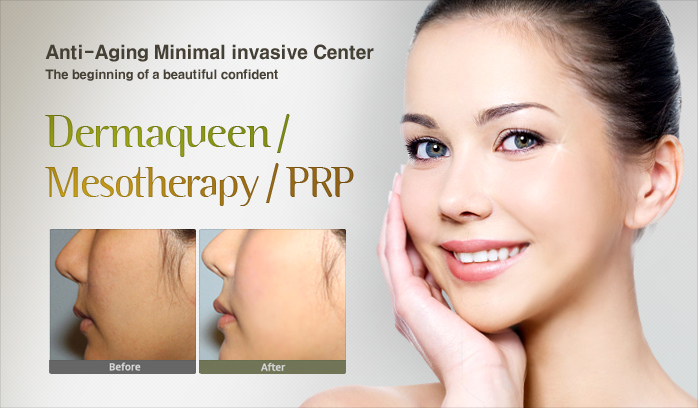 With PRP, a concentrated platelet solution is injected into the area for rejuvination. Blood is drawn from the patient and placed in a special centrifuge, where the blood is spun down. During this process the platelets are separated from the red blood cells and are concentrated. The red blood cells are then discarded and the resulting platelets concentrate is used for treatment. - PRP is not a volumetric filler, but biological cell therapy with your own cells and enriched plasma.